Solar and ONLY solar for over three decades. 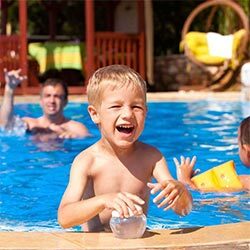 Average swim season with solar is from mid-April to mid-October! 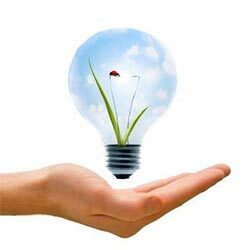 Eliminate or lower your cost of electricity with a solar system! Did you know you can save up to 70-80% on your hot water costs? Interested in solar? No matter where you’re at in the solar purchase process, we have a resource for you. 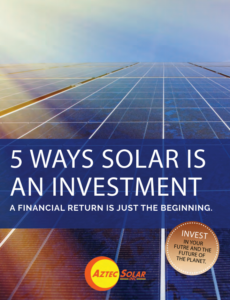 Click the arrows below to view guides on investing in solar, buying the right kind of system for your home or pool, or calculate your solar savings! 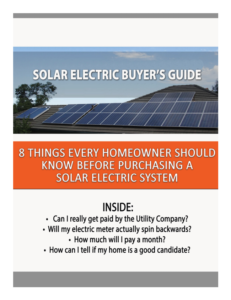 8 things every homeowner should know before purchasing a solar electric system. A financial return is just the beginning. 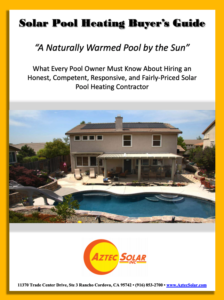 What Every Pool Owner Must Know About Hiring an Honest, Competent, Responsive, and Fairly-Priced Solar Pool Heating Contractor. 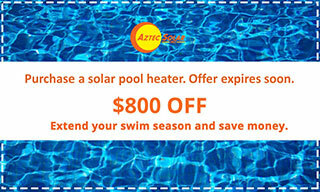 We have used Aztec Solar for over 20 years. They recently remodeled our system and they installed a new system for my daughter. Great service, great design and very competitive pricing. 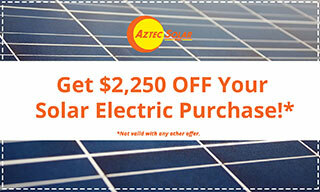 We are so happy with Aztec Solar! Why did we wait so long to get solar for our pool? No idea. We’ve been swimming since Easter Sunday and loving it. We are so happy we chose Aztec!! We could not be happier with Aztec Solar,from the sales representative to the installers. I asked a lot of questions because I had done my research and knew what I needed to hear to proceed. We were very comfortable with all the information we were given. Originally we were just shopping for pool solar and ended up buying solar for the house also! A+++++ One of the BEST choices we made!! Excellent company who care about their clients and go the extra mile to make sure you are satisfied. Hassle free and FAST!!! Aztec Solar was clean, professional, on time, and courteous. They were above par on making sure my landscaping didn’t get ruined while working. They did a great job. I have a rescue dog that is very afraid of men and the installers stood very still to make sure afraid. We take pride in our award-winning customer service. 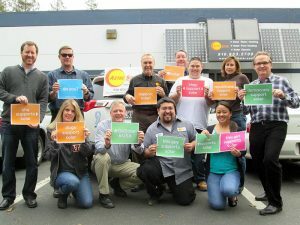 With over 10,000 customers, Aztec Solar is the most trusted solar company in Northern California. Aztec Solar provides solar energy solutions that meet the energy needs of residential, commercial, industrial, and governmental entities. We offer in-house solar water heating, solar pool heating and solar electric experience for all applications. Every solar application is part of the solution to a brighter future and stronger planet. If you’re inviting solar reps into your home you’ll spend hours listening to high-pressure variations of the same presentation. 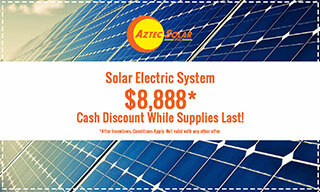 But not from Aztec Solar–the only solar company with an easy 28 Minute Solar Consultation. 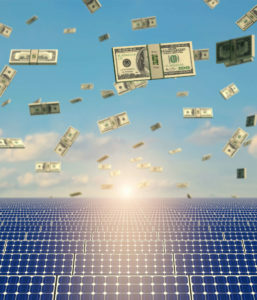 In 28 minutes, you’ll learn how your new solar system will pay for itself and how your solar payment and utility bill payments can be lower than what you are currently paying today.